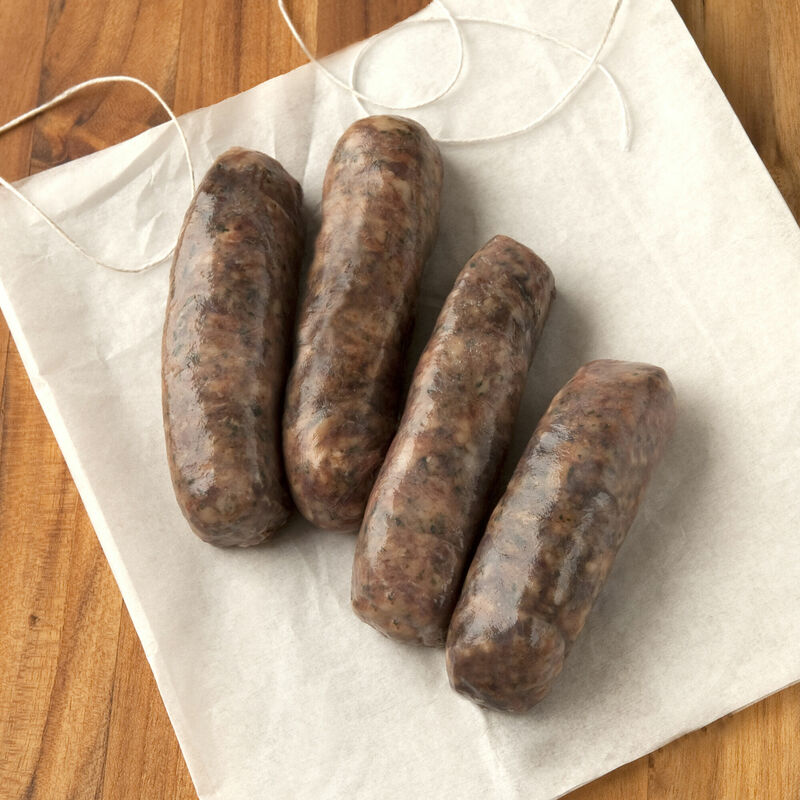 Sausage made with grass-fed venison and humanely-raised pork, with no antibiotics or hormones. Handmade without nitrates, nitrites or artificial ingredients. The juicy pork adds lush texture to the lean venison, and a sweet-sour note comes from dried cherries, along with a mild hint of spicy chile pepper. The winning combination makes this robust game sausage a favorite on the grill.